Author’s Note: Today is my Dad’s birthday. For those of you who have followed the blog for a while, you may remember that he passed away last year. 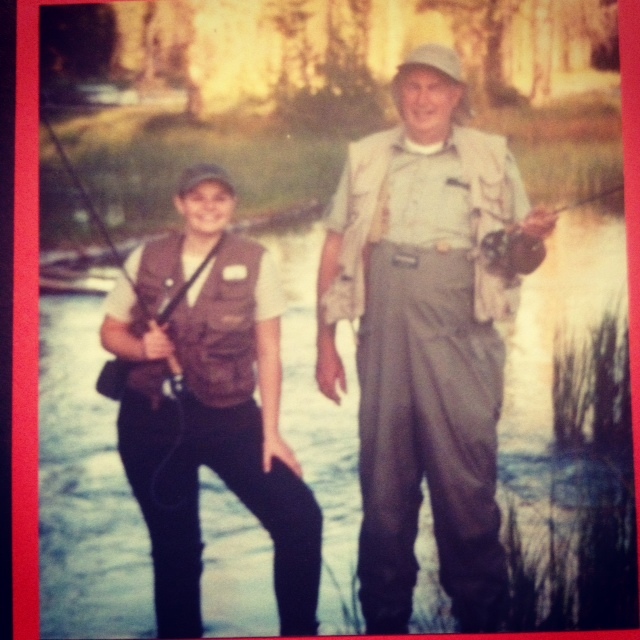 To remember and honor him today, I decided to share twenty-five things (among myriad others) that my Dad taught me about fishing and hunting. Hope you all can enjoy and relate. 1. You can never have too many flies, fly rods, guns, bullets, shotguns, and shotgun shells, etc. You never know when you, your kid, or a friend will break one. Besides it’s nice to always be ready for the Zombie Apocalypse! 2. When it comes to fly tying, fish don’t care about aesthetics. Fish will hit an ugly fly just as well or better than a pretty one. So don’t be persnickety. 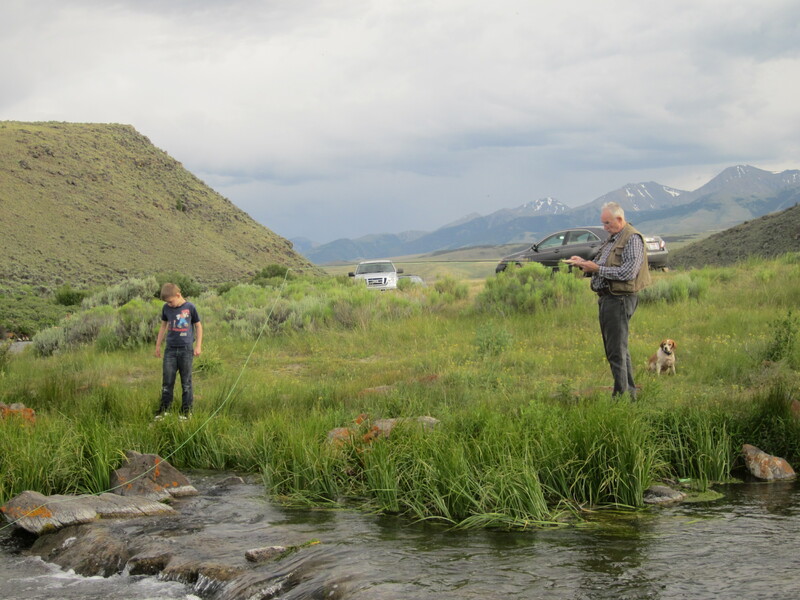 Dad tying flies on the banks of Birch Creek Memorial Day Weekend 2013. 3. The uglier the fishing hat the better. The man with the ugliest hat catches the most fish. 4. If you ain’t giggling when a fish rises for your fly, go home! You’re missing the point. 5. Everyone needs a Riesen (dark chocolate caramel covered goodness) to go hunting and fishing . . . and cinnamon bears, Ding Dongs, and chocolate milk. 6. There’s an old saying, “You can go fishing, or you can take a kid fishing, but you can’t do both at the same time.” To which, Dad replied, “Bull Pucky!” Dad proved with his own eight kids and countless other neighbor kids that you can have your proverbial cake and eat it too. You can take kids fishing and have a blast. Benny hopes to net Eden’s fish. 7. A generous fisherman and hunter is a happy one and has more friends afield and astream. 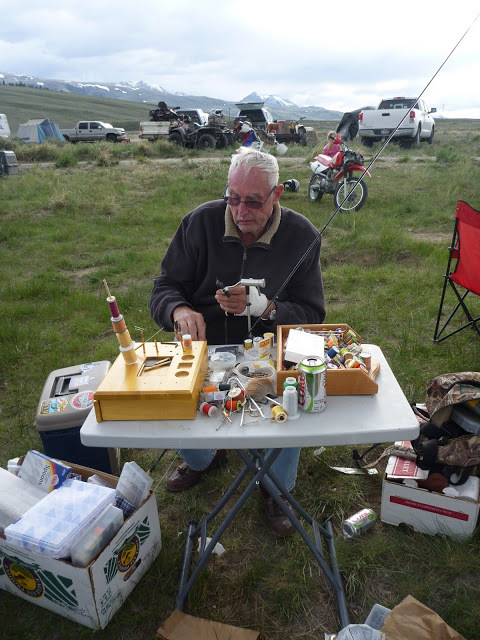 Dad loved to share his outdoor passions and his resources with his kids and friends, of which he had many. 8. If you take a kid fishing or hunting, you absolutely MUST stop for treats (especially milk shakes in Shoshone, Idaho). This should be a law written in stone. 9. Dad was a doctor and he taught me that doctor’s scrubs make awesome fishing attire. Moreover, when we were fishing with Dad and he was on call, he didn’t have to change his clothes before rushing to the hospital. But he still wouldn’t take off that goofy, ugly fishing hat. Can you imagine? 10. It’s okay to embellish on the size of a fish. For example, a solid 15 inch trout instantly became a five pounder for Dad. 11. Dad taught me that if you want to catch more fish on the fly, nymphs are the way to go, especially the Red Fox Squirrel Nymph. Fish and fishermen dig ‘em! They’re so good that neighborhood squirrels will no longer be safe in your back yard! 12. Mexican food after hunting and fishing is the icing on the cake. It makes a bad day good and good day even better. It’s good for the soul, I tell you! 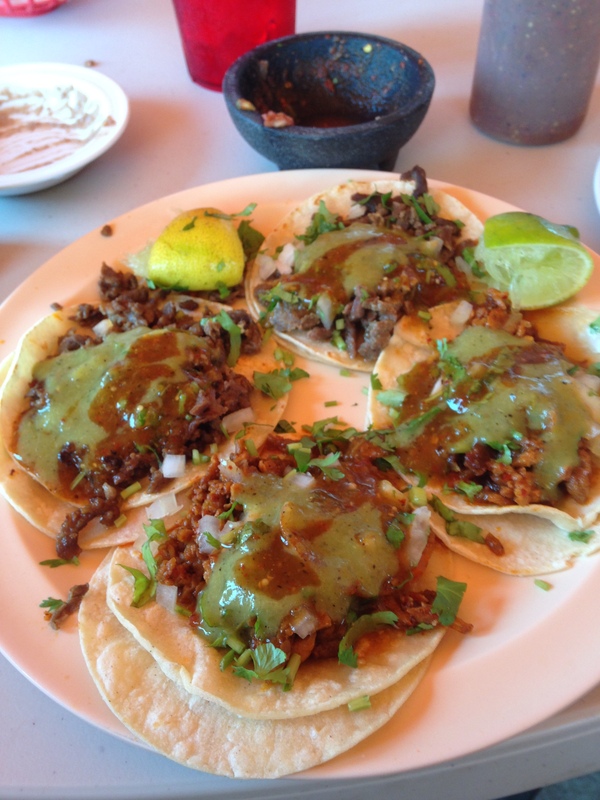 Tacos from Dad’s favorite Taqueria. 14. When you are hunting and fishing, it is okay to eat at the same restaurant two or three times in one day . . . Pickles here we come! 15. When choosing hunting and fishing apparel, it’s not a fashion contest. Just pick what you like and what is comfortable. Who cares what anyone else thinks? Some might say my Dad got off the fashion train a long time ago, but I say he was always his own locomotive heading down his own track. He wore whatever he wanted and he rocked! Dad and Jodi on the Buffalo River. Dad never had much sense of style, but he still rocked! 16. Hunting and fishing are fun and bring out the kid in all of us. Dad proved you can be 70 years old and still experience that child-like joy and enthusiasm every time you go outdoors. 17. Dad taught me that sometimes a little Garden Hackle (a lowly worm) catches way bigger fish than a fly. Do you want to catch a lot of dinks or one monster? Swallow your pride! 18. 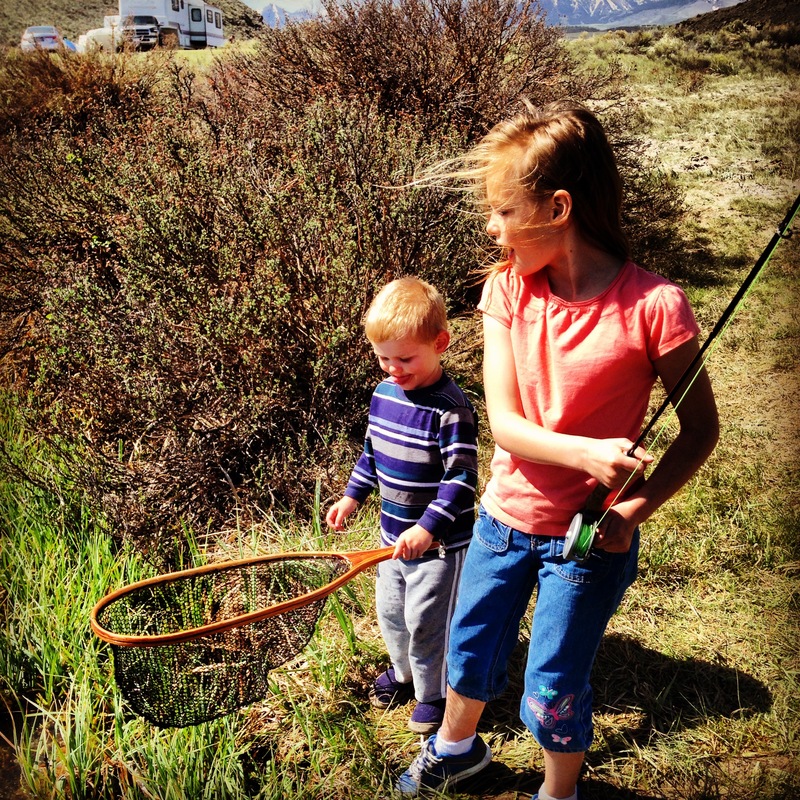 If you want your kids to know you love them or to relate to them better, take them hunting and fishing. The generation gap will be bridged almost effortlessly. All of Dad’s kids can attest to this. Andy and Benny revel in a glorious night at the Mini-Madison. 19. Don’t be a trout snob! 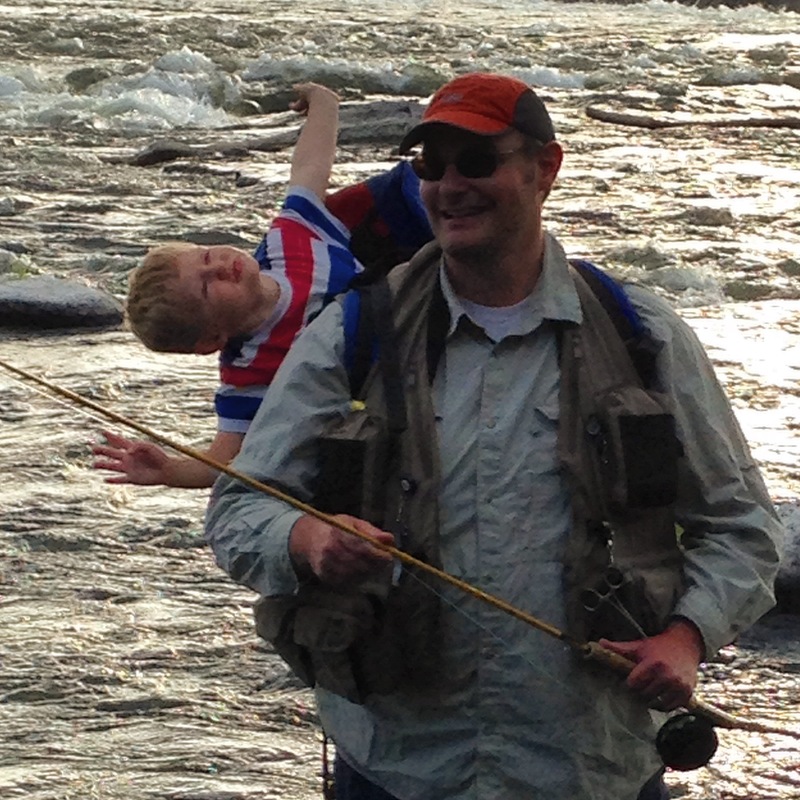 Bass and other warm-water fishing is not ultra-technical, but is sure fun and great for kids. 20. You’re never too old to learn. Always be teachable. There’s so much to learn about hunting and fishing. If something interests you, read books and try new things. Dad was a student of the outdoors to the very end. 21. Eat what you kill. Our special fish and game deserve our respect and are too precious to waste. 22. Hunting with bird dogs is the only way to hunt game birds. 23. There’s a peace one can find in the outdoors not available in most other places. That peace comes from Nature and Nature’s Creator. Dad knew this his whole life. 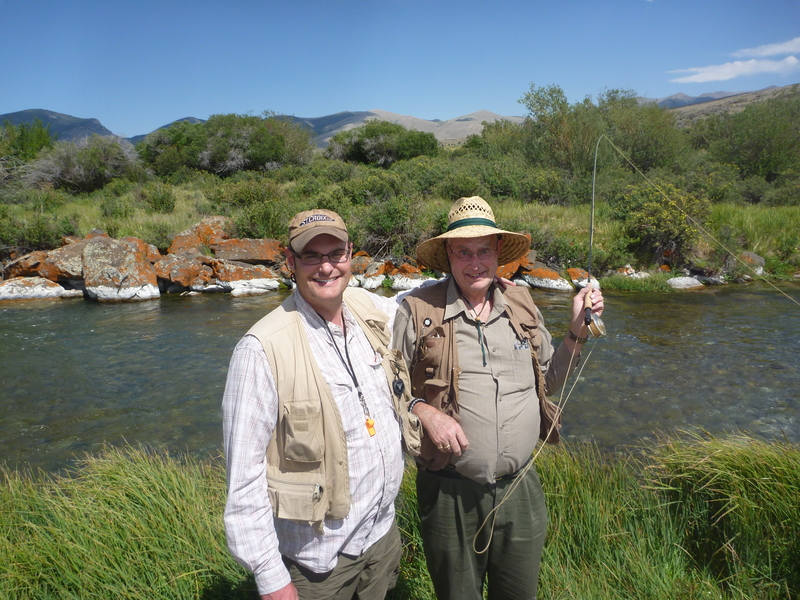 Dad and Tommy fishing Birch Creek in 2011. 24. The more time you spend hunting with your kids, the less time you’ll have to spend hunting for them. This may sound cliché, but it’s absolutely true. 25. A dad should be more than just a teacher, a provider, and a disciplinarian, he should be his kids’ hero and best friend. There is no better place to do this than the outdoors. Mission accomplished, Dad. I sure do love and miss you. Thank God he was a country boy! Andrew, what another outstanding post. I am age (65) and counting and I can relate with so many of your dad’s thoughts on fishing and the outdoors. Thanks you for helping me find some peace with this post………………………………….. I really appreciate your comment. Glad you enjoyed this post and can relate. I was blessed to have such a great dad and mentor. John, there’s nothing better than spending your time outdoors with your sons. Hope you get to hunt with him soon!